Happy New Year! Our holiday break from school this year was a little odd. We had school right up through December 23rd, completing projects and homework right up to the end. Then, on the 24th we flipped the switch into full-on Christmas mode. Now, the new year has arrived and we still have another full week off of school. 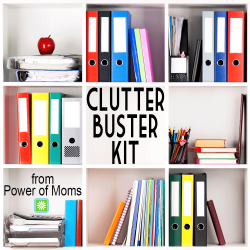 What better time to declutter the kids rooms (and other areas as needed)? Yeah, they don’t really think so, but for goodness sake, I couldn’t even open my daughter’s bedroom door to get in there and help her put away her new gifts from Christmas. It’s a dire situation. So, that’s the focus of the fun on the second half of our time off from school. Personally, it’s still better than the overabundance of homework and projects for my poor fifth grader. I don’t generally do new year’s resolutions. Instead I try to sit down and make a big todo list. It usually consists of books I want to start/finish, classes I want to complete, house projects I need to start/finish, etc. During these rainy days off I’ve been trying to catch up on little projects that have been pushed aside, like replacing some burned out light bulbs. Yes, I’m starting small, but hoping it will help to build some momentum. Today I plan to shine my kitchen sink. I hope you’ve already accomplished must of the January mission by the time you read this. Mainly, to put away any holiday décor. But secondly, to see the vision for your home and how you want it to look and feel during the upcoming year. To read more about the monthly mission for January, click here. 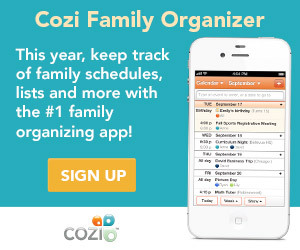 After Christmas Organizing - Helpful ideas to get you organized after the holidays. I have seen people discussing that organizing and decluttering can be hard. Not just challenging in the mental capacity of it all, but actually physically difficult. Not everybody has a full day to commit, or a 100% body to work with. We all get tired, and some of us have physical limitations. Here are a couple ways to help you make progress and not get discouraged. Use a Timer. This works for everybody! Physical challenges or not, setting a timer for 15 or 20 minutes and then taking a 10 minute break helps most everyone. One, most people can last that long without becoming physically exhausted. If you can’t, then set your timer for 5 or 10 minutes. That’s still 5 or 10 minutes more than the guy napping on his couch dreaming about a cleaner home. And all those small chunks of time will add up and eventually you’ll tip the balance into a cleaner home. And be sure to take that break! Don’t feel guilty. You’re just following the rules of the game! You’re more likely to come back if you don’t feel overwhelmed. Work in small sections. Don’t empty out the entire room. You’re setting yourself up for failure and overwhelm. What if you can only get through two 20 minute sessions today? Then you have to live with a complete mess until you can make your next session. Not a good idea. Pick a corner, or the top of a table, or even a drawer. Focus on that one small area before moving on to another one. This also allows those with limited mobility or energy to work in a small area without much moving around needed. Bring the work to you. Let’s say you have some boxes you need to go through, or some stacks of papers. You don’t have to do it in the room you found it. Set up a comfortable work space for yourself and have someone help bring those papers or items out to that area. Then, when you have the time, you can sit comfortably and work through those items at your own pace. These easy tips can work for anyone. You don’t always have to be running around, hauling and lifting and scrubbing to get things into order.